Silicone connector to a little too short? Need that extra inch just for safety? 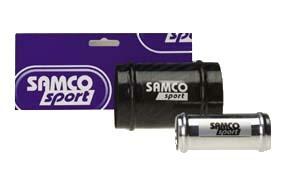 Then Samco Sport Hose Joiners are your answer. Samco Sport Hose Joiners are offered in Aluminum (Alloy) or Carbon Fiber to ensure an additional joiner doesn’t mean additional weight. Extruded ends ensure hoses ‘bite’ onto the joiners and seal consistently.